The Atacama Desert covers about 1,000 km of land and it is located between the Andes Mountains and the Pacific Ocean. It is the driest place on Earth! 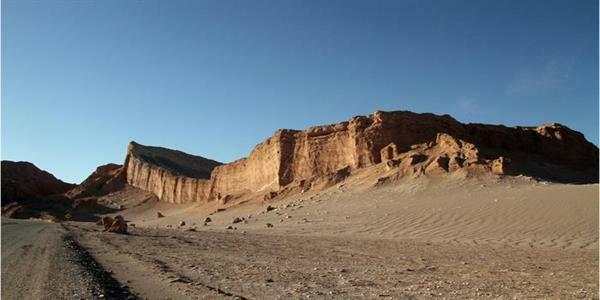 Some places in the Atacama have never received rain! According to National Geographic, it includes the north of Chile, the coastal area of Southern Peru, the southwest of Bolivia and the northwest of Argentina. It is probably the oldest desert on Earth! The Atacama Desert is also a very popular place for tourists, especially around San Pedro de Atacama, an old town in Chile. This town was actually part of Bolivia until Chile claimed ownership. Currently, it is the base for several touristic activities and it is full of tour excursions, cafes, restaurants, and local handicraft shops. I would not recommend shopping so much as due to a lot of tourist visiting place, the local handcraft is pricey. Also, pre-book the hotels as it is mostly full of tourist. Though the place is full of people, it is as beautiful too. A must visit the place once in life at least. El Tatio is a geyser field at 4,320 m of altitude and 80 km from San Pedro de Atacama approximately 2 hours drive. It is among the highest-elevation geyser fields in the world. It is the largest geyser field in the southern hemisphere and the 3rd largest in the world! After saying all this, the important thing is how to reach there. Everyone will recommend you to go through an organized tour for two reasons: first, it is incomparably better to see the geysers and its eruptions at sunrise; second, the roads are very bad and it is dangerous for you to drive. So waking up very early and planning transport alone on the difficult route is not preferable. So I listened everyone and actually went to a tour agency to know more about the tour, the schedules, and the price. I actually wanted to go on my own. Tanmay at PKT tours always suggests taking some roads alone. But here he also suggested going with the pre-booked transport. Still that adventurous bug in me kept on pinching me and I decided to take it on my own. Tanmay, a wonderful fellow helped me with that too, he guided me for every bit of it! We left little late from our hotel to avoid tourists mass. And that was the best decision we made! The 80 km driving took us around 2 hours due to the altitude, the zig-zag road and the non-paved roads we also found on the way. When we arrived at the craters of El Tatio all the tours were leaving or finishing the visits, so we had the entire place for us! We walked for more than 2 hours and we also saw the famous hot springs where people usually go after the geysers visit. 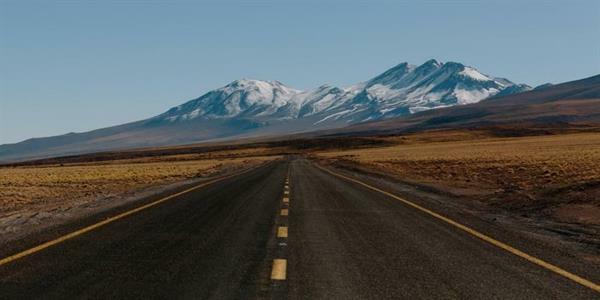 Another advantage and highlight of our visit was the route between El Tatio and San Pedro de Atacama. We took break thrice in between had tea and refreshments. We explored amazing landscapes, took pictures and videos. Don’t miss the place! And if you have that bug inside that take in independently. Licancabur is an active volcano part of the border between Chile and Bolivia. This place should be included in the tour when planning the tour to South America. 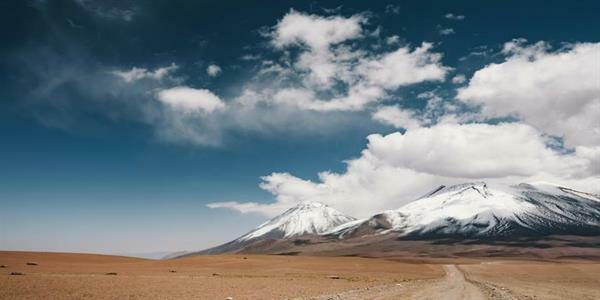 It is one of the most famous landscapes in San Pedro de Atacama and you can see it even in Chile and Atacama postcards. Laguna Chaxa is part of the Los Flamencos National Reserve in the Salar de Atacama. Jaw dropping beauty and superb landscapes, volcanic mountains, white flat land, lakes, salt and what not! Everything in a perfect harmony. This again I would consider a must visit the place. Valle de la Luna also know as Moon Valley, is one of the closest places you can visit in San Pedro de Atacama. The distance is around 15 km. This place was declared sanctuary of nature in due to its amazing landscapes, rocks formations, and colors. It is indeed a beautiful place. The Atacama Large Millimetre Array (ALMA) is known as world’s largest astronomical project. and it is located in the middle of the Atacama Desert. The place is not open all the time so the most important advice to visit this place is to pre-book online. Most of us do not visit the place every now and then, so I would suggest to plan and visit and not to miss any of the places. The Altiplanic Lagoons are originated from the ice melting in the Miscanti and Miñique volcanoes. The beauty of the place can’t be described in worlds. Laguna Miscanti is a heart-shaped brackish lake located 8 km north of Miniques Volcano. Two crystalline lagoons surrounded by beds with wide blue sky will just make your eyes hurt and heart soothe!